Dr. Twilla, Dr. Simpson, Dr. Bodnar and our entire staff are proud to provide quality, compassionate, innovative veterinary care. We are confident that you and your pets will feel right at home in our office as we welcome all clients and patients as if they were family. Dr. James Barrie founded Sunshine Animal Hospital in January, 1980. After expanding the practice Sunshine Animal Hospital moved to the current location on Waters Ave in June, 1990. In 2016, Dr. Barrie retired and Dr. Mark Twilla, having been the Associate Veterinarian for 16 years, purchased the practice. We have a completed a top to bottom renovation/remodel, along with an upgrade to state-of-the-art medical equipment and Sunshine Animal Hospital currently employs three full-time veterinarians and fifteen staff members: veterinary technicians, kennel technicians and reception staff. 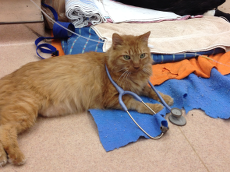 We are here to help with any health issues your pets may have. With expanded hours until 6pm Monday through Friday, Saturday hours from 8 am to 5 pm and Sundays from 10 am to 2 pm, we're here to serve you and your family's pets! We are now offering in-home veterinary care. Call to get more information about our new House Call services! Dr. Twilla is a 1999 Graduate of the University of Florida College of Veterinary Medicine. 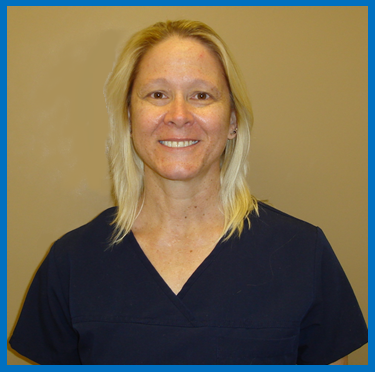 After completing a one-year internship at Florida Veterinary Specialists Dr. Twilla joined Sunshine Animal Hospital as Associate Veterinarian in 2000. In 2016, after many successful years as an Associate Veterinarian, Dr. Twilla, purchased Sunshine Animal Hospital from the original owner and founder, Dr. James Barrie, who is now retired. Dr. Twilla's special interests in Veterinary Medicine include cytology, internal medicine and soft tissue surgery. When he is not caring for his patients at Sunshine Animal Hospital, Dr. Twilla enjoys spending time with his wife and children. He also enjoys playing tennis, fishing, hiking and golf and caring for his own pets, 2 dogs and 3 cats. Dr. Bodnar is a Tampa native, growing up in South Tampa and attending Tampa Bay Technical High School. 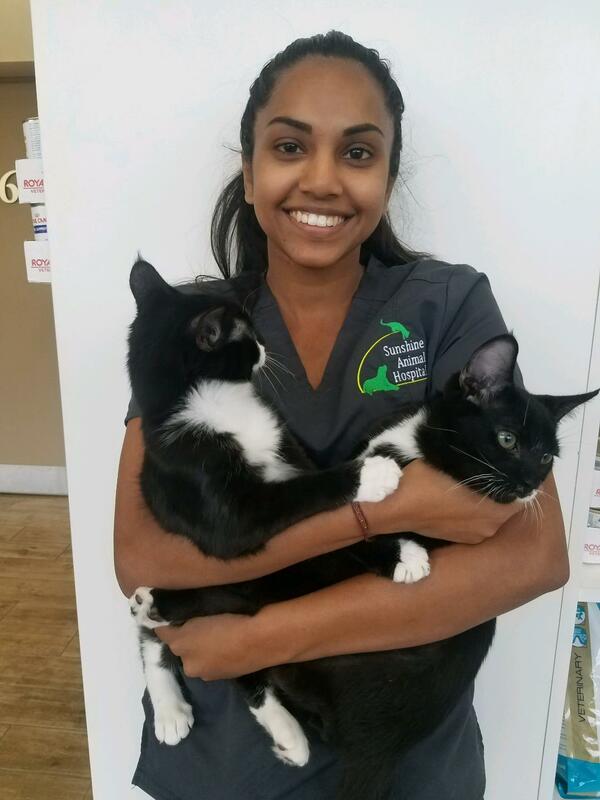 After graduating from the University of Florida School of Veterinary Medicine in 2015, she practice for 3 years in St. Petersburg, Florida She is an avid Disney fan and can be found there frequently. At home, she has two manx cats and 2 dogs. Dentistry and high quality preventative care are her favorite points of practice. Dr. K. Aileen Simpson is a 2015 graduate of the University of Florida College of Veterinary Medicine. After graduation she worked at Banfield Pet Hospital for 1 1/2 years, then joined Sunshine Animal Hospital in January 2017. Dr. Simpson is especially interested in soft tissue surgery and will take great care of your pocket pets (rabbits, ferrets, small mammals and reptiles), too! In her spare time, Dr. Simpson loves traveling, reading and spending time with her husband and 8 pets (2 dogs, 5 cats and a guinea pig). Employed at Sunshine Animal Hospital since 2000, Julie has worked as receptionist, technician, and as Hospital Manager. In 2016, she and her husband Larry, in partnership with Dr. Twilla purchased Sunshine Animal Hospital. She has continued her work in her position as Owner-Hospital Manager. Her professional career includes working as a Purchasing Manager for a large optical chain, owning and operating a pet store, and working on a cattle ranch. She is a licensed Real Estate Agent and she and her husband operate their own Real Estate Brokerage, New Horizon Realty. An accomplished equestrienne, Julie also teaches English riding instruction. When not at Sunshine, or at the barn with her horse, she enjoys spending time with her husband, three dogs and three cats, along with reading and watching professional football and baseball and playing piano. Alex is from Tampa, Florida. She has completed a Bachelor's Degree in Integrative Animal Biology and will be starting Veterinary School in August. She has worked with animals for several years and has 2 dogs and 3 cats. In her spare time she enjoys being outside. She takes her dogs everywhere with her! 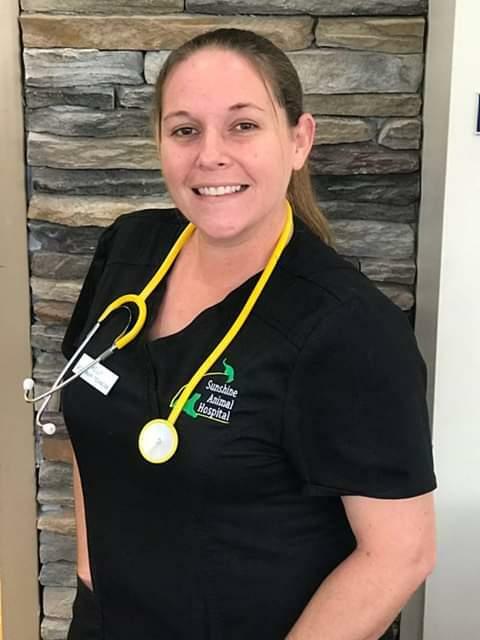 She has past experience in dog training, kennel operations and fostering and has worked for the last 4 and 1/2 years as a veterinary technician. My name is Kelly Fitchett. I was born and raised in Boca Raton Florida. While living there, I worked in an animal shelter for 7 years. I really enjoyed shelter veterinary medicine. I then relocated to Central Florida and worked for a single doctor practice for about 7 years. I am now proud to be a part of the Sunshine Animal Hospital team, since August 2018. I am mother to an amazing 8 year old, who is my world. We both love the beach and the outdoors! Estela arrived from Cuba in 2000 where she was a teacher for over 10 years. She has over 17 years as an animal and veterinary technician. She is very passionate about her line of work and enjoys building relationships with our customers. Estela is recently married. She likes hockey, music and watching movies with her hubby, Jim. She has two Shih Tzus, Che and Manny as well as Kiki, the cat. Leanne came to Florida in 2016 from Chicago, where she lived for almost 20 years. She is quickly becoming a Tampa Bay Rays fan! 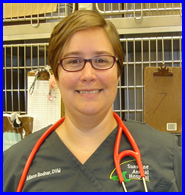 She has over 25 years experience working in the veterinary medical field ranging from emergency to shelter medicine. She is the proud owner of a Beagle, who is still in Illinois with her daughter Jessica. 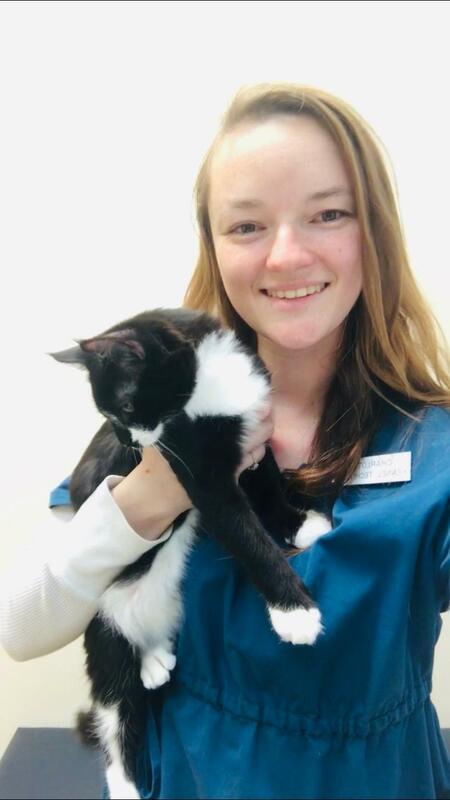 Anastasia has been with Sunshine Animal Hospital since 2013, having started as a volunteer/intern while enrolled in the Veterinary Technician Assistant program through her High School, then being hired as Kennel Technician in 2016. She is currently in her Junior year at USF pursuing a Bachelor's Degree in Integrative Animal Biology. Jennifer graduated in 2016 from Sanford-Brown College with an Associate in Science and Veterinary Technician Degree in Veterinary Medicine. She has been a veterinary technician at Sunshine since 2016. When she is not working she enjoys spending time with her children and two fur babies, and going to the gym. 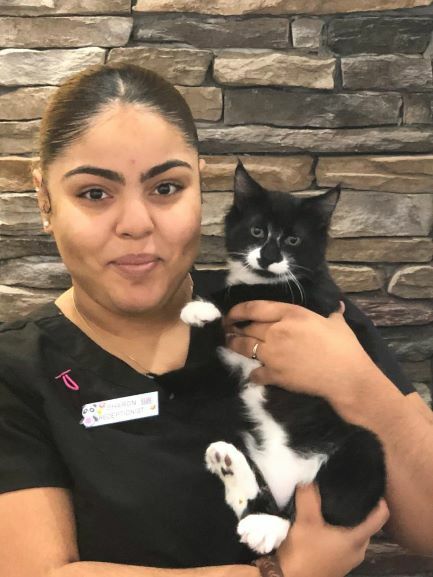 Alicia started her journey with Sunshine Animal Hospital back in 2012, working unpaid in-service hours toward becoming a Certified Veterinary Assistant. She completed that program through her local high school and was then hired as a Kennel Technician. She worked in the kennel for a couple of years and was then promoted to Veterinary Technician Assistant and then to Veterinary Technician. Alicia loves all animals. She is the proud owner of 2 dogs and 3 cats and hopes to one day become a veterinarian. Camila was born in Cuba and has been living in Florida since she was 18 months old. She has been working at Sunshine since 2016. She is acurrently enrolled at Hillsborough Community College. Her goal is to become a Psychologist. Camila's favorite hobby is makeup artistry. She owns two cats, Betelgeuse and Lydia, and Randall, the gecko. She loves working in the Kennel and loving on all the pets being boarded. Because of her love of pets, if allowed, she would continue to adopt animals. However, her Mom, Estela, has prohibited it! Shannon was born and raised in Hammond, Indiana, and has since slowly moved her way down south. After moving from Indiana, she spent 14 years in a town near Cincinnati, where she made her dream of working with animals come true. In 2011 Shannon graduated from Brown Mackle College with an associate degree in Veterinary Technology. For the next 4 years she worked at a 3 Doctor small animal hospital in Kentucky. Finally Shannon moved to Florida with her 3 cats Captain, Dexter and Tinsel. In her free time you can find her lounging by the pool,playing fetch with Dexter and Tinsel , baking and crafting, or even napping with her kitties on the couch. When I’m not at work, I’m either playing football, learning new makeup techniques or in church. I’m an active member of the worship team of my church, and there is nothing I enjoy more than singing my heart out for God! 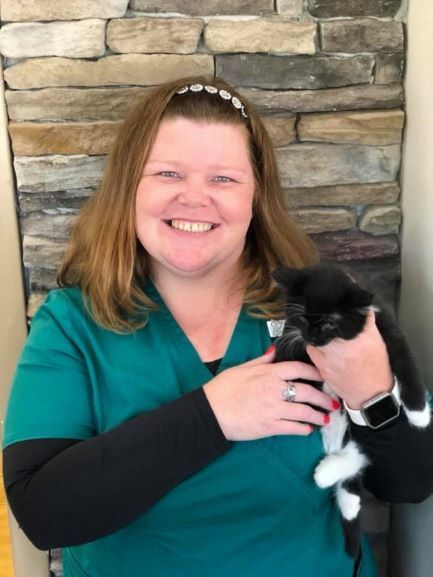 Karen initially started working at Sunshine Animal Hospital as a member of the reception staff in 2000, after moving to Tampa from Denver Colorado. In Denver, she worked with the hearing impaired program and helped establish the first telephone relay operating system. She also chaired a committee for hearing impaired women who were victims of domestic violence. After 13 years of service behind the reception desk at Sunshine Animal Hospital, she took an early retirement and then rejoined the Sunshine staff in 2016 as a part-timer and filling in on vacations and sick days. We are so glad to have her back with us!! When not at Sunshine, she helps her husband with his Jazz band, helps corral her 17 grandchildren and plans holidays and parties for her family. It's always a party at the King house! I am currently enrolled at the University of South Florida St. Pete Campus studying Biology. Next year I will be applying to veterinary school to pursue my dreams of becoming a veterinarian. I have been a part of Sunshine Animal Hospital since June 2017 working as a Kennel Technician. When I am not working, volunteering or going to school I enjoy going to the beach or relaxing at home. My name is Tanya Kelley and I was offered a job at Sunshine while coming here as volunteer. I love animals and I love working here at the veterinary clinic. I am currently enrolled at HCC and will graduate with an Associate degree. I plan to transfer to the University of Florida to major in Biology and hopefully pursue my passion working with animals. Hi! My name in Charlotte. I am a kennel technician at Sunshine Animal Hospital. I was born and raised in St. Petersburg, but now call Tampa my home. I have always had a love for animals and have worked in various veterinary and boarding facilities. My finace and I have 4 cats at home and plan on adopting a Golden Retriever and a Welsh Corgi, at some point in the future. I am currently completing my last semester at HCC and I will graduate with my AA degree in May, 2019. I have applied and I hope to be accepted to the Veterinary Technology Program at HCC to become a Certified Veterinary Technician. In my spare time, I enjoy planning for my wedding in March, hanging out with friends and going to music concerts and festivals. I've been with Sunshine Animal Hospital since February of 2017. I've worked as a Kennel Technician at various clinics across central Florida since 2007. In 2006, after working for 8 years at the Delphi Break Plant in Ohio, I got a chance to move to Florida with my girlfriend. That gave me the chance for a fresh start at my career! In March of 2007, I got the opportunity to start as a Kennel tech at Timberlane Animal Hospital in Tallahassee and I haven't looked back since! My wife, Jessica and I have now been married since Halloween of 2015. We live in Town and Country with our 2 dogs, Renee, our French Bulldog and our new chihuahua puppy. Rounding out the group is our chinchilla Munzy and two cats Pola and Shatze. I couldn't love taking care of your animals more, here at Sunshine Animal Hospital.